I’ve got a bit of a retro recipe for you today – buttery chateau potatoes (which are flipping amazing, but we’ll get to that in a minute!). It’s not a dish I’m hugely familiar with, but P&O Ferries are celebrating their 180th anniversary this year, and asked me to share a recipe inspired by one of their old menus. The menu I chose is from 1958, which I suppose explains why I’d not tried chateau potatoes before – that’s just over 30 years before I was born! These days, you probably associate P&O Ferries with a quick, budget trip to Europe, but over the past 180 years the company has worn many hats, using their ships to deliver all kinds of things (including passengers!) to Egypt, Australia, the Middle East, India, and many other places. After the Second World War, when hundreds of their ships were destroyed, P&O picked themselves up and began to focus on passenger cruises. Back in the 1950s, a P&O cruise was long-distance, pretty expensive, and the sort of occasion where you’d get your glad rags on for dinner. 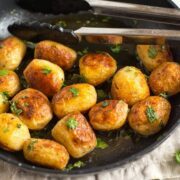 The menu I used to inspire these chateau potatoes was a big buffet dinner, with lots of items written in French – definitely another class of ferry! As you can imagine, 60 years ago there weren’t many vegetarian options available on the menu, although I was very impressed to see that “a vegetarian diet will gladly be arranged” – they were clearly ahead of their time. 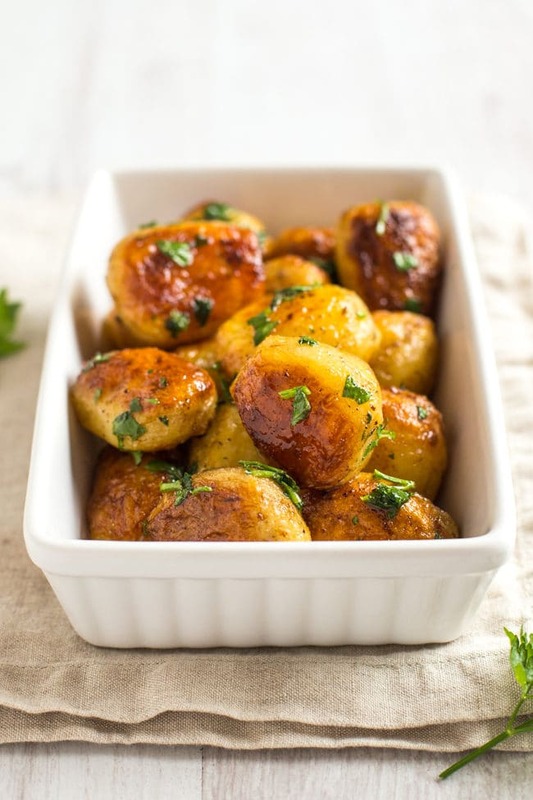 I don’t often share a side dish recipe on this blog (mostly because I tend to stick to the same few side dishes over and over again at home), but these buttery chateau potatoes have reminded me that there’s so much more you can do with simple veggie sides – from now on I’ll definitely be channelling my inner cruise-goer and trying to be a bit more inventive! Peel the new potatoes, and pat them dry on kitchen paper. 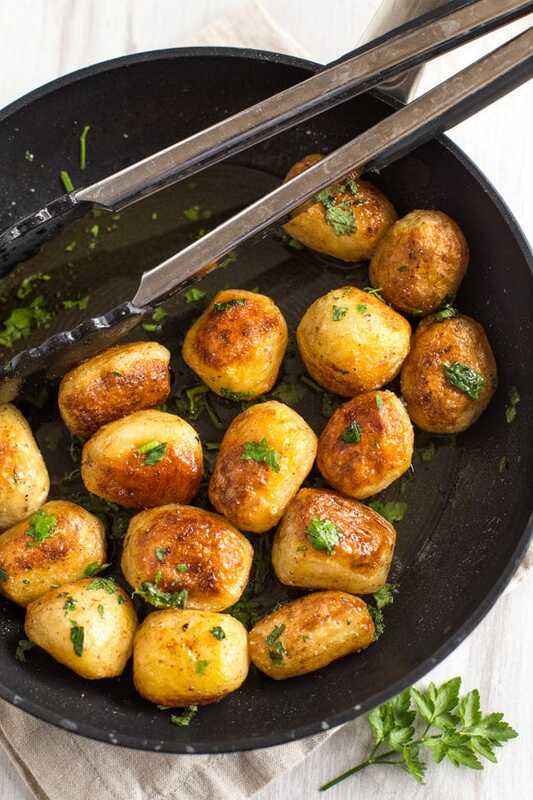 Add them to an oven-proof frying pan, along with the whole garlic cloves, butter and olive oil (if you don’t have an oven-proof frying pan, just transfer them to a baking dish before placing in the oven). Allow the butter to melt over a medium heat, and toss regularly to coat the potatoes in the buttery mixture. Season generously with salt and pepper, and continue to cook until the potatoes are just starting to turn golden. As the butter cooks, you may see dark flecks appearing - this only adds to the flavour. 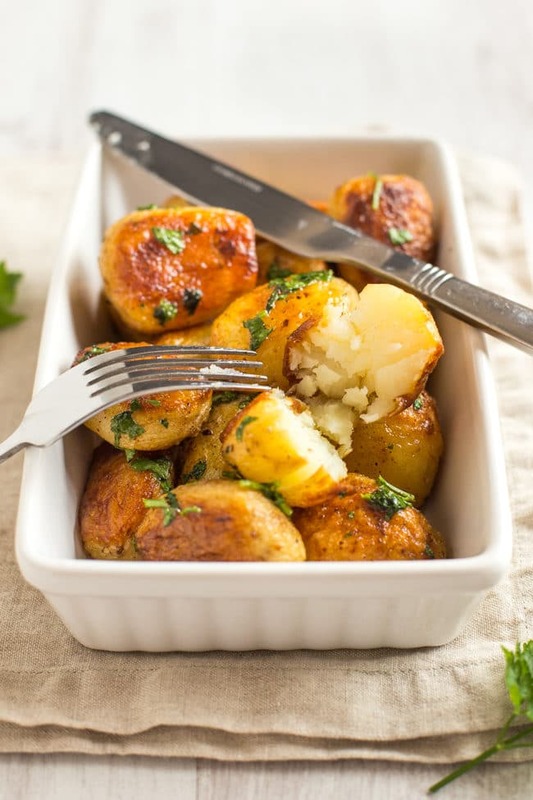 When the potatoes are starting to turn golden, place the pan in the oven, and roast for around 30-35 minutes, until the potatoes are soft in the middle, with crispy brown exteriors. 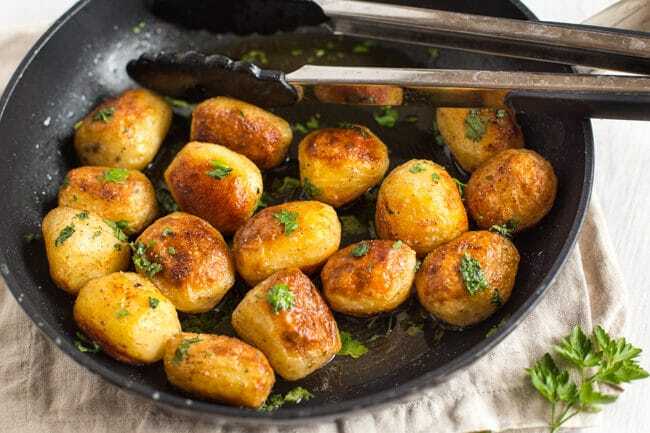 Discard the roasted garlic, and serve the chateau potatoes drizzled with any excess garlic butter, scattered with fresh parsley. 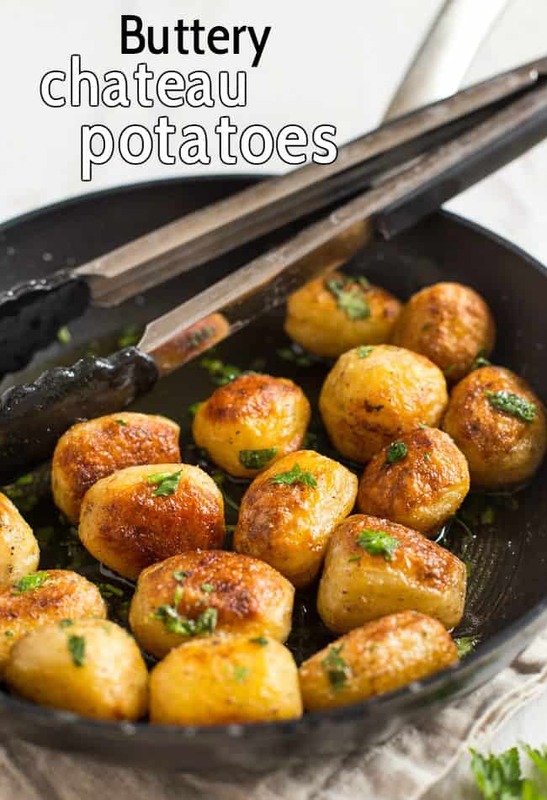 Got any new potatoes left over? 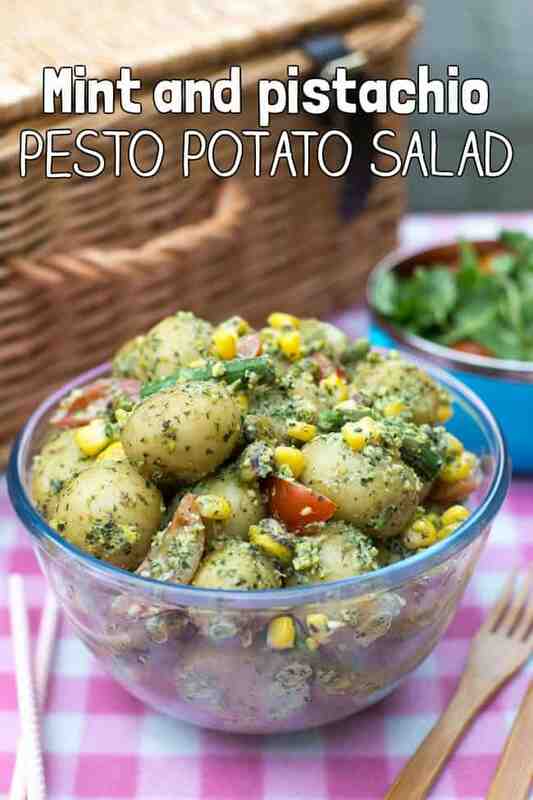 Try my mint and pistachio pesto potato salad – perfect for summer picnics! Next Post » Meet baby AYB! Why discard the garlic? Surely they would add to the dish? Your dish look so delicious! 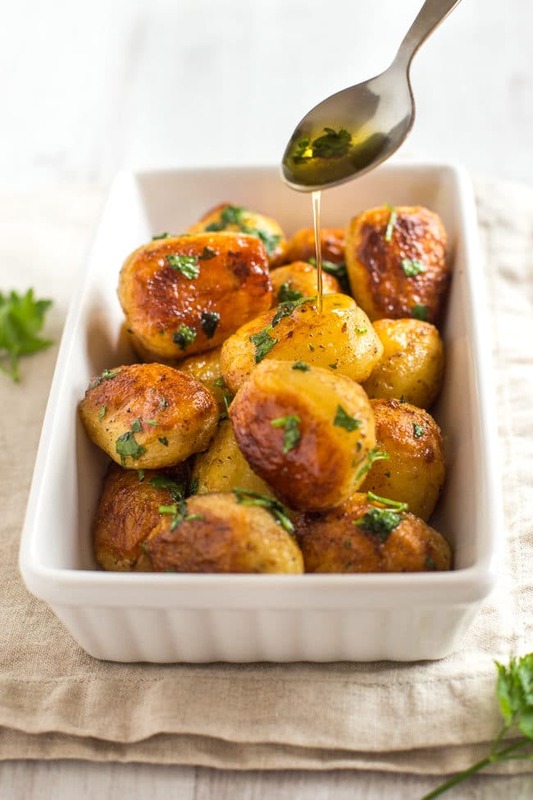 I’ve never tried making buttery chateau potatoes before, but after reading your recipe I feel like I have to. Thank you for sharing! 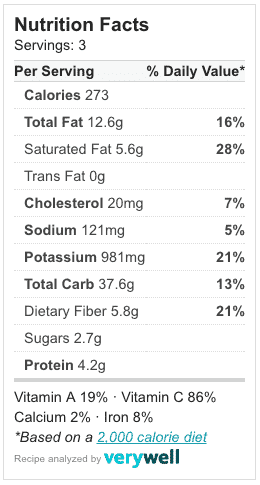 I have also been sticking to the same side dish for some time and this is certainly an excellent addition to our choices. It looks really good. Can’t wait to try it. These look so good! I’ve been looking through a lot of your recipes to get inspiration for some meat free days – everything looks so delicious! Yummy! (I do wish 1958 was before I was born, instead of the year in which I met my most long-standing friend!). All I had at my local shop were fingerling potatoes. Peeling them was awful so I didn’t. Everything still worked out fine. Made a great accompaniment to a sweet corn soufflé along with some skillet carrots. THANKS! Haha I don’t blame you for not peeling them, it’s a bit of a faff! Glad you enjoyed them anyway – your meal sounds lovely! !